Gorgeous, ruby red, effervescent and delicious! I’m a big fan of hibiscus. The showy, vibrant flowers are not only gorgeous to look at, but also make an amazing, zingy beverage. 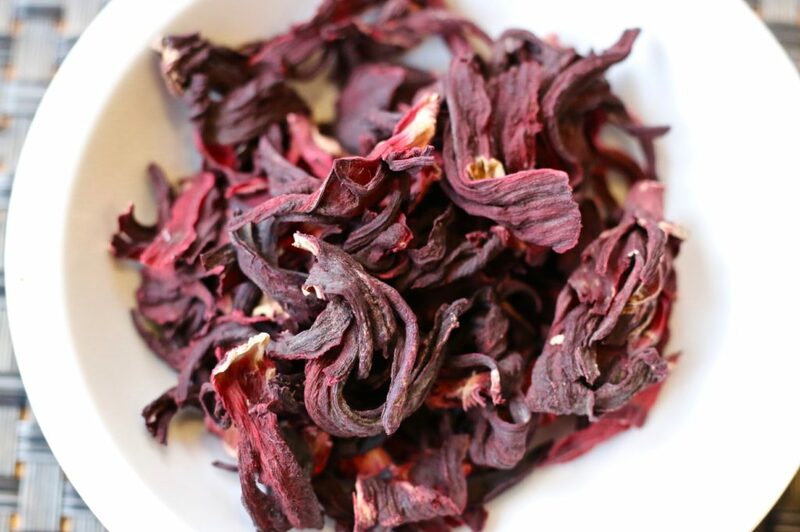 Dried hibiscus flowers have a sweet-tart flavour and are responsible for the “zing” in zinger herbal tea blends. Hibiscus is not only a popular herbal tea flavour, but also enjoyed internationally as a refreshing cool beverage. In Western Africa, it is known as jus de bissap, in Egypt and Sudan as karkaday, and in Mexico it is a popular agua fresca known as agua de jamaica. 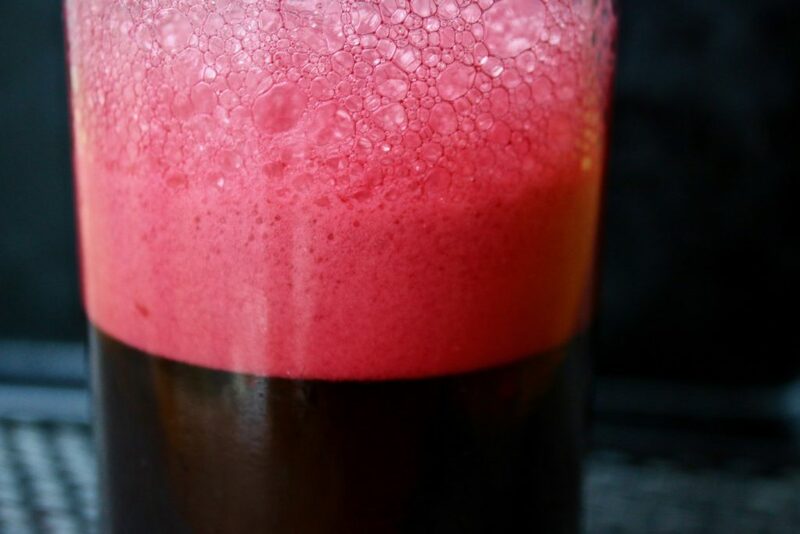 Hibiscus beverages are delicious and healthy as is, but if you want to add some more kick and nutrition to this zingy drink, you can turn it into a soda using milk kefir whey. The beneficial bacteria and yeast found in the whey consume the sugars in the hibiscus juice and produce carbon dioxide. Since this is a closed ferment, the CO² is trapped within the container, producing a fizzy, refreshing drink! 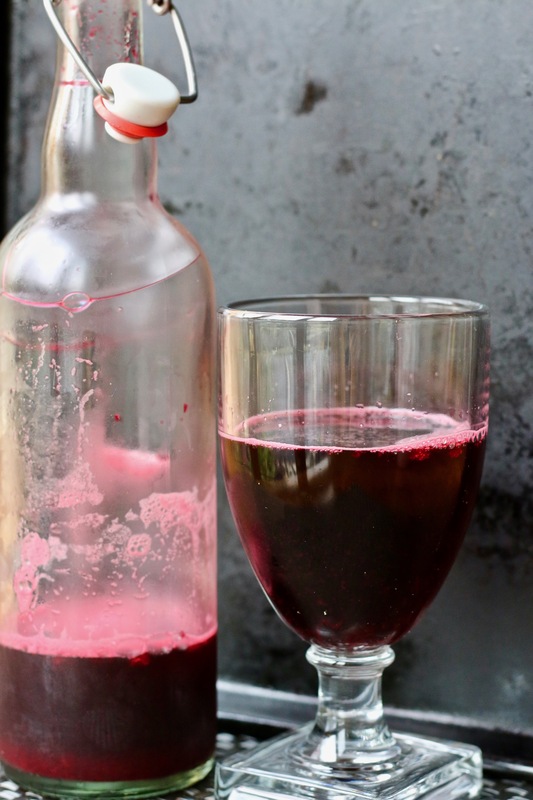 Hibiscus soda is delicious, refreshing and so easy to make! Bring water to a boil. Add hibiscus flowers and simmer for 15 minutes. Add sugar, stir to dissolve. Let mixture cool to room temperature. Add whey and transfer mixture to jar. Close jar. 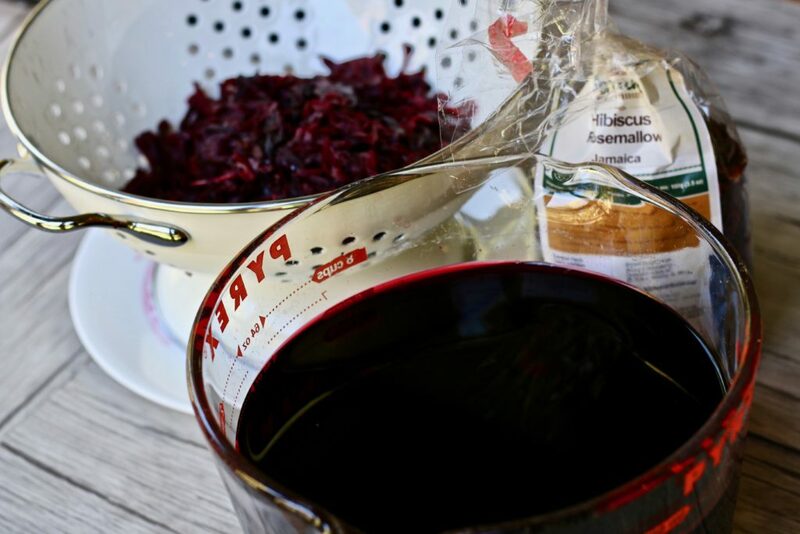 Leave to ferment, out of direct sunlight for 4-7 days. The mixture should start to bubble at day 3 or 4. Taste when mixture starts to bubble, and transfer to the refrigerator when you are happy with the level of tartness and flavour. Store in the refrigerator once the desired fizziness and taste has been reached. You can leave the soda in the jar or transfer it to bottles designed to contain carbonated beverages. Is it high in carbs/sugars because of the addition of sugar? Hi Lulu- Thanks for you interest. 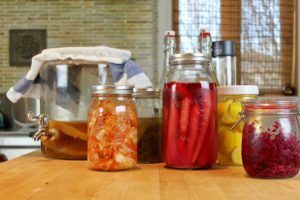 The beauty of making your own fermented food and beverages is that you can control the content. Yes, there would be added carbs with the addition of sugar, however keep in mind that the sugar will be consumed by the microbes (wild yeast). The longer you leave the ferment, the more the sugar content will lower. I personally let my beverages ferment a little longer since I prefer my drinks more sour. If it’s fermenting in the bottle, should I be conserned about alcohol being produced? For my religious beliefs I cannot have any alcohol. Hi Sem- Thanks for your question. There is always a slight amount of alcohol produced during the fermentation process. I have not officially measured the alcohol content in hibiscus soda, however it is should be very negligible as it is a short ferment. I can also tell by the taste and feel no “alcohol”effect. My children also drink it, (my youngest is 10) with no ill effects. I’m not familiar with your religious beliefs, so you will have to determine if this drink is appropriate for you. Love this and will try it. You won’t be disappointed! It is so delicious, and beautiful! Be careful, and open with caution- it is a very active ferment!